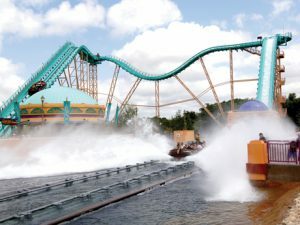 Aquatica San Antonio just opened on Saturday, May 19. Experience the waterpark only SeaWorld could create, with 42,000 square feet of beaches, up-close stingray encounters, and a family raft ride that's a first of its kind in North America! Other Specials & Coupons To view Aquatica San Antonio Admission Tickets, other Specials and Coupons, go to their special page by clicking here. Aquatica San Antonio updates this page throughout the year, so check back to see if new specials and coupons have come in. Note to our visitors Aquatica San Antonio coupons and specials can change without notice. So please visit their official website to make sure of the latest pricing and coupons.